Step 1 Combine the yogurt, pumpkin, and cinnamon in a small bowl and mix until well combined. Step 2 Top with the walnuts and an extra sprinkle of the pumpkin pie spice or cinnamon, if desired. After working out, it’s ideal to fuel up on at least eight grams of protein to help your muscles recover more quickly. 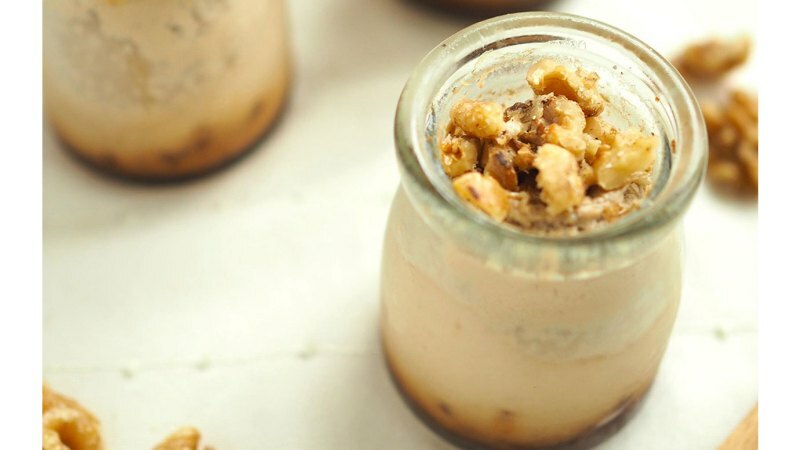 Walnuts are a terrific topper because they’re the only nut packed with omega-3 fatty acids. Omega-3s can help tame inflammation and ease the aches and pains we often experience following a tough workout.